Why I drive a crappy used minivan! Advice from Dave Ramsey | No car payments! It’s beginning to look a lot like Christmas….everywhere, literally everywhere you go. Is it just me or does it come earlier and earlier every year? It seems like Halloween isn’t even over and you start seeing Christmas decor. So this year instead of turning my head and thinking omg, I am so not ready. I decided to embrace the thought of decorating early. (See pic, this is my house, not bad for $60 spent at the Dollar Tree right?) Yes, our tree is already up!!!! since November 8th! I did this for several reasons. First of all last year was really hard emotionally and financially. I just left my husband after being Married 16 years. Just getting thru everyday was more of a priority. I put everything off but in the end with a little help I was able to have a great Christmas for my boys. Secondly, I feel like I’m just In a better position this year emotionally as well as financially. More reasons I wanted to get it out of the way because I am going back to school and working hard on a lot of projects. My boys love Christmas and my oldest son’s bday is Dec. 22 so I also have a bday the same week as Christmas…then mine is two weeks later. All of the best Christmas decorations are fully stocked. Waiting really limits the possibilities of getting what you want. As soon as Thanksgiving is over it is game on! And shopping becomes like wrestle mania! You have to fight for what you want. (Wait isn’t that true for really anything? Lol) I was able to get some awesome decor at the Dollar Tree, all of it fully stocked!!!! And super cheap got everything for $60! They really have stepped it up and got better quality items too. It would be a tragity to buy this stuff anywhere else. 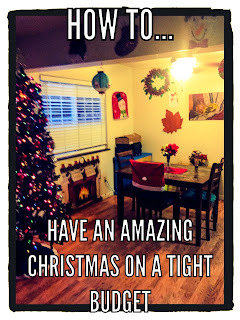 I think we saved around 75 percent by shopping here compared to maybe Target or Walmart Ok enough about decor…back to having an amazing Christmas on a tight budget. Here are some tips and tricks. #1 set a limit per child. Obviously older kids are going to want more expensive gifts so they may only get a few while the younger ones will get several smaller cheaper gifts. I only have young kids ages 2 and 4 so they don’t understand prices or brands which makes shopping easier. #2 Think outside of the box. Shop other stores you may have overlooked before. Ever thought to Christmas shop at Walgreens? I shop there every year to get toys. Now I don’t get all of the toys there but I finish my shopping there. I have been able to get two carts full of toys for less than $100 buy utilizing there sales with the buy two get one free or buy three get two free toys! Be on the lookout for those sales! #3 Use layaway. I usually only use Kmart for Christmas layaway but this year I think I will use Walmart and see if I can save more. The down side is not being able to put clothes on layaway so I may go to Kmart as well. 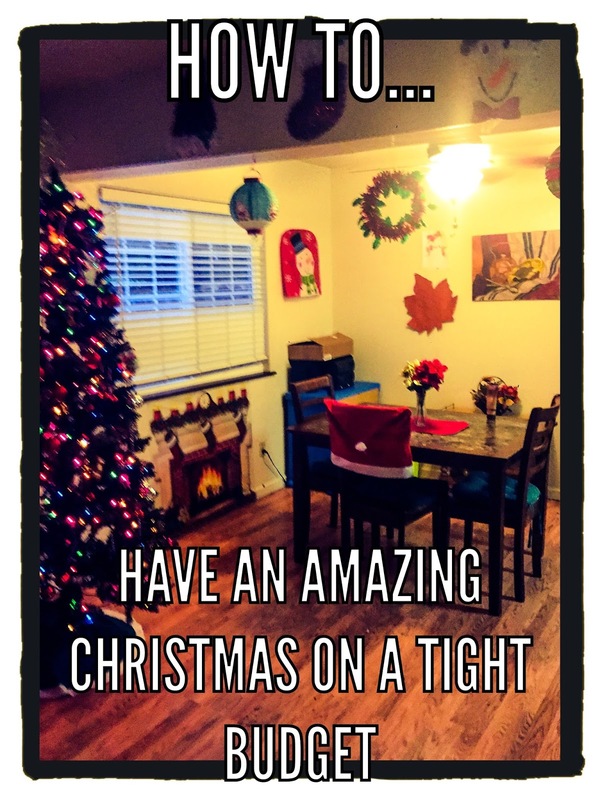 Layaway is awesome because you can pay in payments and you don’t have to worry about hiding the gifts, you can pick up the week of Christmas wrap it all and find a temporary hiding spot. #4 If you are on a very tight budget and you are going through hard times and don’t see how you are going to pull off the holidays here are some ways you can get help. Call the Salvation Army and sign up for food baskets and toy giveaways. Call churches and see if they offer any help What organizations are you involved in? So many organizations offer help. My son’s school offers all kinds of resources (head start) a great program for low and moderate income kids and their families. Cal for referrals to other programs and resources. I don’t think you necessarily need to be homeless. It doesn’t hurt to call and ask. Social services can offer resources or give you some suggestions # 5 Plan early. Start as soon as possible, setting money aside and planning your Christmas budget. Also, prepare for unexpected guests and have little gifts on hand for gift giving like boxes of candy, lotions, small gift baskets, etc. #6 Start a change fund for Christmas in Jan. (While this won’t help this year it is an idea for next year so you won’t stress out last minute). How this works is put all of you change in a big jar or five gallon water jug. All of you change at the end of the day is put in it. If you save all coins you could have around $3000 on average at the end of the year. #7 Cut your budget per gift in half if you spent $20 on each giftlast year try cutting it to ten. There are so many good deals that this is easy with a little planning and you may have to shop several stores and have a little patience. #8 Does it have to be new? If you have really little kids to buy for, do they really care about the box? No, they just rip into them. They want the toy! If there is a toy your child wants that’s out of your budget you might be able to find it used on eBay or craigslist, or even a thrift store, yard sale or consignment store. Just make sure all the pieces are there and it’s clean and in good condition. You could even trade old toys for store credit to get new ones at some children’s consignment stores #9Sell old items like toys and clothing on capitalist and eBay for extra Christmas money. #10 Make gifts. If you are crafty you might be able to make things like leg warmers, scarfs, gloves, hats, blankets or jewelry. Try reusing materials. You can repurpose old clothes to make a quilt. For jewelry you might be able to redesign old costume jewelry and for leg warmers, think old sweaters. #11 Black Fiday and Cyber monday. If you can brave the long wait, crowds snd chaos uou can get some great deals. I personally like cyber monday better, it’s less stress for sure and a lot of stores offer free shipping. #12 Gift wrap cards and postage. Use flat rate priority for everything. This is a money and time save for several reasons. No weighing, if it fits it ships. Try redesigning the box to fit more. The flat rate envelopes can hold more if you make the bottom flat. Another plus, free tracking and insurance and drum roll.please, no stress, just schedule a pick up. The post office will come get it. Just print your labels at usps.gov and schedule a pick up. They will even drop the boxes off, just go to usps.gov to order supplies. Cards and gift wrap can be purchased at dollar stores. Why would u want to shop anywhere else? And spend double or even triple. You can even use fabric scraps and old ribbon to wrap gifts. Hope these tips helped relieve a little holiday stress! Wishing you and your families a wonderful holiday season! As you probably know by now I have been following Dave Ramsey. Now I’m not taking his financial peace class but I am atudying his advice and watching his youtube videos. There was one video in particular that caught my eye. He was basically saying in order to get ahead financially you can not think like everyone else. You have to be ok with being different and doing things differently. You have to look at money, debt and really life in general from a different perspective. I’m going to call it ” think like your grandma”. Let’s think about this for a minute, in our grandparents generation they had no credit cards, they used what they had and they did not shop fir recreation. They bought what they needed and most importantly, they were content, they lived and they lived within their means. I think if we took a step back and re- adapted our life styles to these simple concepts we could really get a lot further. Say goodbye to the Jonses too. If the people in your life can’t understand your new way of thinking you have to re- evaluate who are the important people in your life. If you have to try to impress people, they aren’t your friends. Friends will stick by you during good time and in bad. No matter what sseason of life you are in. Just a little food for thought. Save 300-$400 a month just by doing one simple thing…. I decided it was time to re-evaluate my budget when my grocery bill per month got to $750 a month ( yes I got a little off track). I guess with everything that I’ve had going on in my life (divorce, moving, son in the hospital) the stress was too much and I stopped budgeting like I should have been. I used to clip coupons, meal plan, do make ahead meals, etc but all of that took the back burner for a while. So anyhow, now it’s time to put my foot down on spening too much!!!! I’m getting back on track. I have some goals in place (more on that later) and it’s time to make some changes. Here are some ways I am cutting our grocery bill down. One simple thing!!!! Shopping at the dollar tree! If you don’t have a Dollar Tree in your area maybe you have a .99 cent store or something similar. Just by know what to b uy here you can save hundreds. Here are some of the things that I feel are a good value and I will do a price comparison Dollar Tree vs. Walmart Cream Cheese $1.00 vs. $2 @walmart (we go through a lot of this with bagels and crackers) Snack crackers $1 vs. $3-4 a box Bread or buns $1 vs. $3-4 Sour cream $1 vs. $2 Soda .25 a can about the same right now Juice $1 vs. $3 Pasta $1 vs. $2 Pasta sauce $1 vs. up to $4 Frozen waffles $1 vs. $2-3 Coffee and tea And hot cocoa $1 vs. up to $6 or more Snacks (this is the biggest budget breaker in our house) i would say just buying all your snacks here tou can save $50 a week (assuming you grocery shop once a week) Frozen foods $1 vs. 2 Misc Paper plates $1 vs $2 Tylenol $1 vs. $4 Band aids $1 vs. $3 Coufh or cold medicine $1 vs. uo to $10 Vitamins $1 vs. 4-$9 or more Tupperware $1 vs. 2-$3 See how fast the savings add up? You can basically cut your bill in half every week. I shop about once a week (big shopping trip) and a couple more for misc. items. So basically what I am now doing since the main stores i shop at are Walmart and the Dollar Tree, I am only buying milk, meat, eggs and produce at walmart. Everything else like pantry and household items I’m now getting at the Dollar Tree (not everything depending on sales but most)and I am back to clipping coupons. More on that in another post. Happy saving! FREE School supplies @ Staples!!!! For those of you who don’t already know about this fantastic opportunity. Staples will give you $2 in credit for every empty printer ink cartridge you bring them. You can bring in up to 12 a month. Don’t throw these away! I don’t have a Staples in my area but I’ve been saving them. Gonna use them when I go out of town this week to Reno, NV. They have a great deal on notebooks this week .01 each when you spend $5. I’m gonna stock up on those, pens and some art supplies for my little guy (washable markers) and put some away for Christmas too. Time to stock up! One of the #1 ways to save money is to become debt-free. I know that isn’t a common way of thinking for most Americans, but I believe it’s 100% doable. I’m speaking mainly of consumer debt, student loans, car loans, etc. I understand that in most areas of the country dropping a few hundred thousand dollars to buy a house outright isn’t feasible. If, however, you’d like to pay down debt, you may want to follow my new series over on The Frugal Find called Debt Free in 52. Can it be MADE from scratch for less? 2. Frugal DIY: Turn Your Magazines into Christmas Bows! As you can see many of the things we buy can be made for just pennies on the dollar, especially when you find a deal on your ingredients at Grocery Outlet! Can you FIX it yourself? Chances are there is something in your life that needs to be fixed, tangibly speaking. I could start a pretty good list myself from the back hatch of our Sequoia that doesn’t open any longer, the 2 small holes in our walls, the small tear on our couch, and on and on. I’m sure several things will quickly come to mind for you as well. When you’re on a budget and paying down debt the last thing you want to do is hire out help for things you could do yourself. I say this within reason—if your husband is working 10+ hour days making a decent wage and the lawn needs to be mowed, paying a local teenager $10 every couple of weeks to get the job done can be a worthy investment. However, there are very likely tasks that you’ve been putting off for one reason or another. Maybe it’s too technical for you, such as a computer issue or a check engine light in your car? YouTube, Google, and your neighbors are a good place to start when you haven’t a clue where to begin. It’s very likely someone, somewhere, has had the same issue you’re having. In most situations, labor is the most costly expense there is: parts are minimal and elbow grease is free. So the next time you have a broken this or that, consider repairing it yourself – you might find it wasn’t all you thought it would be. 1. It’s never as hard as we imagined. 2. It’s never quite as time consuming as we thought. 3. It’s never as costly as we expected. 4. The gratification that comes from a job done with our own hands – priceless! You know that funny feeling you get when you leave your home without lipstick–like something’s definitely missing? That’s the way I feel if I go shopping without my mobile phone and all those handy savings apps. Most of them don’t cost me a penny, are easy to download, and rack up savings. With this free app, you can browse the Victoria’s Secret catalog, check out the latest discounts and deals, locate the nearest store or make your purchase. You can download it at Apple. Since discovering this app, I’ve left my old ways of looking for cheap travel accommodations behind. Currently, I’m using it to plan my birthday getaway in April; the only problem is trying to narrow down the choice of accommodations this app finds. Some of the deals are as much as 50% savings, plus I won’t have to fork out any booking or administration feels. Although this fashion app isn’t promoted as a money-saving app, it should be. If you’re anything like me, you have several items of clothing stuck in closets or drawers that you’ve worn once or never because they’re the wrong size. According to The Chic Fashinista, we waste about $6,000 on fashion faux-pas every three to six years. MySizeFinder will help you kick this habit, allowing you to find the perfect fit across 300 different brands, without ever having to try clothes on. I admit I can be a bit of a slacker when it comes to clipping and organizing my coupons. For people like me, Coupon Sherpa is a godsend. With this free app for Android and Apple devices, you can easily find mobile or paperless coupons to save when you check out at a wide variety of stores. I can check out good deals at nearby stores when I’m already at the mall and easily find coupons by organizing them under categories or as favorites. Most of all, it cuts down on the amount of coupon clipping and filing I have to do! No one can accuse me of being a fashionista. The biggest fashion sell is the price tag, but even on really stylish or hip brands I can be a bargain-hunting wiz with Snapette. Users share their favorite fashion finds, including photos; details on where to find items; and special offers. The only downside is that it’s just for iPhones. You’ll get some of the same fashion features as Snapette such as product reviews, but Coupon Closet is much more focused on saving you money. A team of coupon clippers provides daily fashion deals, and you can sign up for alerts and exclusive offers. When you first sign up, make sure you “Load all Coupons” to get instant access to all the savings. 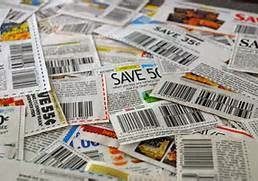 You can use the coupons whether you’re shopping online or in stores. Paying more for gas than I have to rankles me as much as missing out on tax savings, but I can avoid the former with this app, which is available for Apple, Android or Blackberry devices. I can easily find cheap gas whether I’m near home or traveling across the border thanks to a community of users that report prices. I also earn points towards a $250 gas card giveaway by reporting gas prices I find. I was absolutely thrilled when I just found out about Garage Sale Rover. I’ve snagged amazing deals at garage sales over the years. It grabs garage sales off Craigslist and allows you to use your iPhone or Android to search for sales by product. No need to bring a map either; the app provides the best route to the sale of your choice. Amazon is one of my favorite hunting grounds for discounts on numerous products, especially those I can’t find in stores in my area. The Amazon Mobile app is a quick and easy way to get the scoop on deals, track products, and check out reviews. Another cool feature is scanning barcodes of products when I’m at stores to see if Amazon has a better price. As a home-based business owner, I don’t mess around when it comes to finding savings on everything from sticky notes to software programs. The Staples app puts their weekly flyers and discounts right at my fingertips. It also allows me to rack up rewards to save on purchases. Target Deals from this week’s ad dated 11/06 – 11/12 is ready! Remember, you can stack Target store coupons with manufacturer coupons. **ALSO IMPORTANT** I recommend handing the cashier ANY coupons that are for multiple items (i.e. $1 off 2) separately and politely ask cashier to ring them through slowly. Target computers are processing these coupons incorrectly and reducing the amount of the coupon to the value of one item (i.e. items cost $.59 each and coupon is for $1 off 2. Target computers reduce your coupon to $.59!!). Be careful! *Target is giving away (25) $25 Gift Cards everyday on their Facebook Page now through Nov. 22! *Don’t forget to enter daily! Final Price: as low as 2 FREE!! Final Price: possibly as low as 2 FREE!! *ad states other select Centrum and Caltrate items on sale also! Less: (2) $3/1 Centrum ProNutrients Supplement (10/16 RP) *exp 11/13! Butterball Premium Frozen Turkey 10-24lbs. – $.97lb. *Stove Top Stuffing is on sale for $.89, that’s half price from the grocery store! Get a $5 Target Gift Card wyb (3) products below! *this would make a decent deal if the Lip Perfection is included! TRY THIS SCENARIO!! Please feel free to share your own!! Final Price: as low as FREE!! + $2.56 overage!! Whether you want to start saving, add to existing reserves, or beef up an already brawny bank account, here are 31 savings tips to give you a month of tightwad tactics. 1. Pay your bills online. You save a stamp each time, plus some lenders will knock off up to a point of interest for automatically debited payments. 2. Re-wear your clothes. Unless you’re out sweating in the sun, don’t wash your clothes after every wear. Try to do laundry just twice a month. 3. Grab leftovers. Whether from work, family, or dinners with friends, most left-over food goes to waste; unless you take it for lunch tomorrow! 4. Use the library. We read most books only once, so why buy them? Libraries often have movies to borrow and free internet, too. 5. Use cash. Withdraw the exact amount you will allow yourself to spend every week, and just pay cash! This tip is 3-for-1. You’ll save on credit card interest, ATM fees, and you can put the cash you don’t spend back into savings. 6. Carry only what you’ll spend. Now that you have taken out your weekly allowance, leave the house with only the money you want to spend. Whether it’s $5 for lunch or $50 for dinner and drinks, you will preempt the chance to overspend. 7. Never spend one dollar bills. Have you ever thrown all of your loose change into a jar and six months later found you had $50 or $100 saved up? Try paying for everything with a five or higher, and put those singles aside. When you hit $100, take it back to the bank! 8. Drive slower. How fast you drive, not just what you drive, can improve fuel economy. Drive slower, more smoothly, and brake less often. My father proved this on his mega-long daily commute. By maintaining 65 MPH or below he squeezed a couple extra gallons out of each tank at the cost of only a few minutes each way. 9. Drive less. Tough if you live outside a city, but possible. Plan to do errands just once a week instead of driving out every time you think of something, hitch a ride with a friend (or your honey) when able, or pick up a cheap bike! 10. Kill the coffee… Or make it yourself. You can even learn to make your own iced lattes. 11. …and the fast food. Now that you can swipe your Visa at the drive-thrus, those burgers are dangerous to your waist and your wallet. 12. Limit the climate control. If you’re like me, you spend most of your time in a very small area in your home. Only use AC (if you must) in a small room. You can even save money in the colder months by turning down the heat and using a space heater where you work or sleep. 13. Limit cleaning supplies. Bleach or a simple antibacterial cleanser can clean almost anything in the house. No need for five different products. Plus, save on paper towels by using old newspapers to clean windows and surfaces. 14. Shop with a list. Never leave for the grocery store (or any store) without a list. Stick to it, and know how much the total should run. Impulse buys can wreck your budget! 15. Unplug it! Disconnecting household items as small as your cell phone charger can save you electricity dollars and reduce your use of unneeded energy. What else can you take off the grid? Computers, toasters, coffee pots, and other appliances all draw some power, even when not turned on. 16. Look for freebies. I hate clutter, so I rarely take “free stuff” unless I can actually use it. But some things I do use: little hotel shampoo bottles, sugar packets, pens and napkins. 17. Tax yourself. Sales taxes make money for the government and, sometimes, discourage consumption of certain resources (i.e. oil). Why not tax on yourself? When you buy something, contribute 5% of the cost to savings. You’ll save more and spend less as you ponder that 5% tax! 18. Eliminate subscriptions. Pay for what you use, not for monthly subscriptions and contracts. Cancel magazines, newspapers, even gym memberships and cell phone contracts unless you absolutely need them. 19. Give homemade gifts. Don’t buy other people crap they don’t need! Give a useful gift card for a birthday, a framed photo for the holidays, or a homemade cookbook as a wedding gift. 20. Decorate on a dime. When decorating your pad, skip the chain furniture and design stores in lieu of dollar stores and yard sales. With a little creativity, you will be the only one who knows where your decorations came from. 21. Plan an off-peak vacation. Want to get your next vacation for half price? It all depends on when you go, and when you book. Head to Europe in the winter, Florida in the spring or fall, and enjoy your local sights during the summer. Book six months out and avoid weekend flying, and save a bundle. 22. Don’t buy bottled water. If your tap water tastes funky, invest in a good filter and refill your water bottle. Prefer a sweeter drink? Buy bulk Gatorade or lemonade mix. You’ll save tons over grabbing individual bottles at the seven-eleven. Need some other reasons to give up bottled water? 24. Buy second hand. The only thing you might not want to buy used is a mattress. With Craiglist and eBay, it’s impossible to make excuses for not shopping second-hand. 25. Buy quality. Even when shopping second-hand, pick products that score well with ratings groups like Consumer Reports. If something you buy wears out in a year and you need to replace it, you wind up paying more than you would have for a quality model. 26. Learn to love your freezer. Try not to waste food. You can freeze almost anything, even bread and milk. Invest in some airtight freezer containers and a label maker and portion out leftovers when you cook. 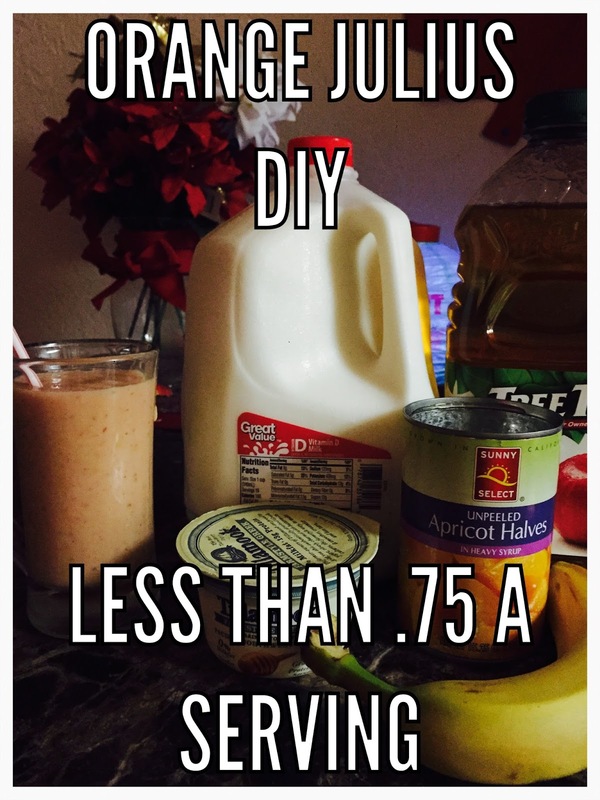 You could have a week of meals for less than $2 each versus spending between $5 and $10 on lunches out. 27. Turn off the TV. Marketing is everywhere, and it’s subliminal. Limit your TV timeand train yourself to question every marketing message you see. Even sales and special pricing at the grocery store may not be as good as they appear. Most likely they’re just trying to get you to buy more than you need. 28. Stop junk mail. Reduce your waste and eliminate the tempting marketing messages (especially for credit cards) pouring through your mail slot. Get off marketers’ direct mail lists. Write to them asking to be taken off, or get a service likewww.greendimes.com to do it for you. 29. Find multi-purpose tools. Simple, time-proven household items will substitute for many more expensive single-function gizmos. Use clothespins to hold food items closed or organize stacks of paper. Learn to cook with nothing but a knife, a skillet, and a pot. 30. Plan your month. At the end of the month, make a plan for next month. Make a budget, but also plan a menu so you can go to the store fewer times and save on impulse purchases. To some extent, plan how you’ll spend your money on entertainment. If you know you’ll have a weekend away at the end of the month, think of how you can save some extra cash until then. 31. Learn to enjoy “zero-sum” moments. It occurred to me the other day that we spend most of our time either making or spending money. During much of the past two years when I have worked two jobs, it seemed like the only time I wasn’t working for money or spending some was when I was asleep. Yet with all this money flying around, my happiest moments are free. Walking in the woods, lying on a beach, reading a good book, or doing something I love like painting or playing the guitar. Make more time for free activities like these, remember how much you enjoy them, and remember that they’re free.